In the previous post we looked how to run Infinispan on OpenShift. Today, our goal is exactly the same, but we'll focus on Kubernetes. Running Infinispan on Kubernetes requires using proper discovery protocol. This blog post uses Kubernetes Ping but it's also possible to use Gossip Router. We'd like to build Infinispan cluster based on Kubernetes hosted locally (using Minikube). We will expose a service and route it to our local machine. Finally, we will use it to put data into the grid. 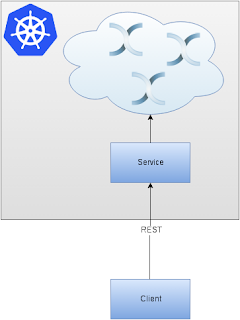 There are many ways to spin up a local Kubernetes cluster. One of my favorites is Minikube. At first you will need the 'minikube' binary, which can be downloaded from Github releases page. I usually copy it into '/usr/bin' which makes it very convenient to use. The next step is to download 'kubectl' binary. I usually use Kubernetes Github releases page for this. The 'kubectl' binary is stored inside the release archive under 'kubernetes/platforms/<your_platform>/<your_architecture>/kubectl'. I'm using linux/amd64 since I'm running Fedora F23. I also copy the binary to '/usr/bin'. Happy scaling and don't forget to check if Infinispan formed a cluster (hint - look into the previous post). Infinispan Spark connector 0.4 released!